The desolate beauty of the towering apricot sand dunes at Sossusvlei are iconic. On clear evenings, you will be treated to a star-studded sky patterned with constellations typical of the Southern Hemisphere. The reserve offers unrivaled game-viewing with African Elephant slaking their thirst at crowded waterholes, lazing Lion and a host of other fabled mammals. Black Rhinoceros, now a rare sight in the rest of Africa, are one of the reserve’s star attractions. A huge, untamed, rugged region with colossal granite koppies, plunging gorges, open plains and grassland. The sandy desert sustains populations of desert-adapted Black Rhino and Elephant. Bizzare, ancient Welwitschia plants dot the gravel plains. Here you can stay at some of the most remote camps on our planet where you will encounter absolutely breathtaking landscapes, nomadic Himba tribes’ people and the area’s remarkable desert adapted wildlife including the rare Brown Hyena. 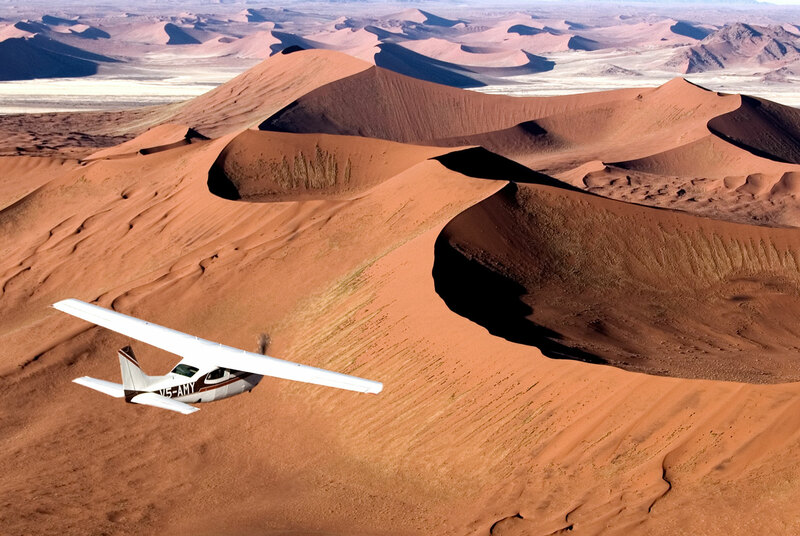 Namibia is a year round destination. Wildlife is at its best during the dry season from June to October, although it does start to get hot in October.